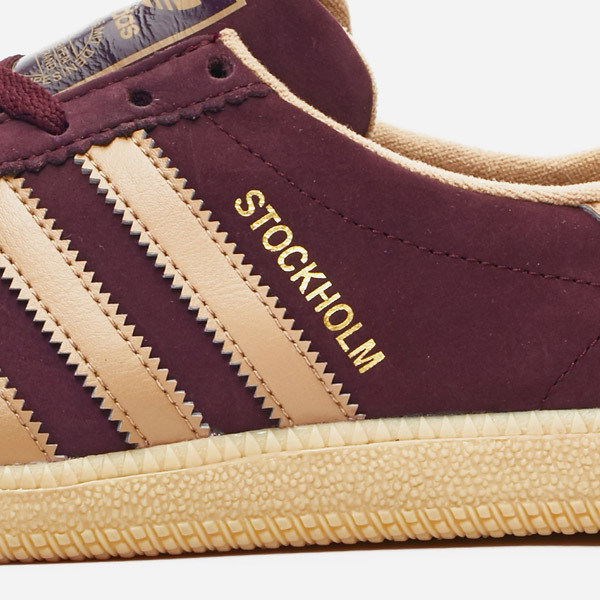 Interesting to see these Adidas Stockholm Gore-Tex trainers in the sale in most sizes. I thought they had sold through quickly. 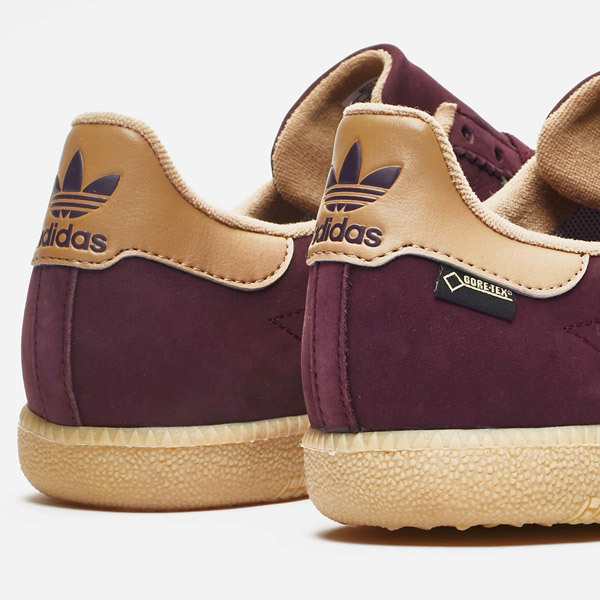 These appeared in December of last year, which was a good time for them to land on the shelves. After all, if you want a pair of Gore-Tex trainers, bad weather is the perfect time for them. So why buy now? Well, the sun is shining and might well be shining for a couple of weeks longer. But once summer is over, we are back to the rain and possibly even the snow I’m not suggesting these will work in snow, but when the rain comes down, a Gore-Tex upper might be just the thing. 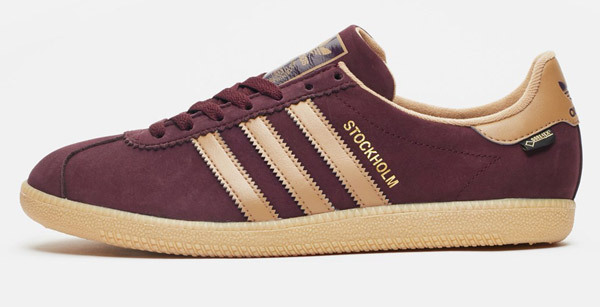 At its heart this is still a City Series shoe (the style hasn’t really changed), with the shoe in the sale being the burgundy one pictured here. 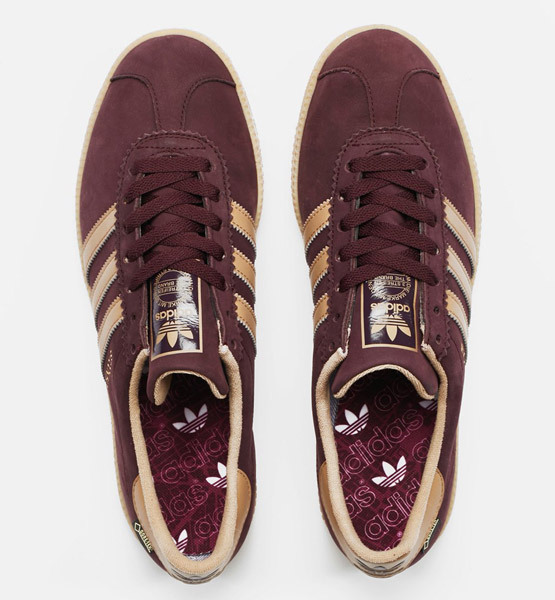 Saying that, there are a few sizes of the blue in the sale too, but the burgundy has pretty much a full selection. How cheap? Well, it was up for £109, but in the sale it has dropped to £77. Seems a good deal for a stylish all-rounder. Oh yes, it is and was exclusive to retailer Sneakers n Stuff. Next Post 1892 National Treasure Lo Top and Hi Top by the Colchester Rubber Co.